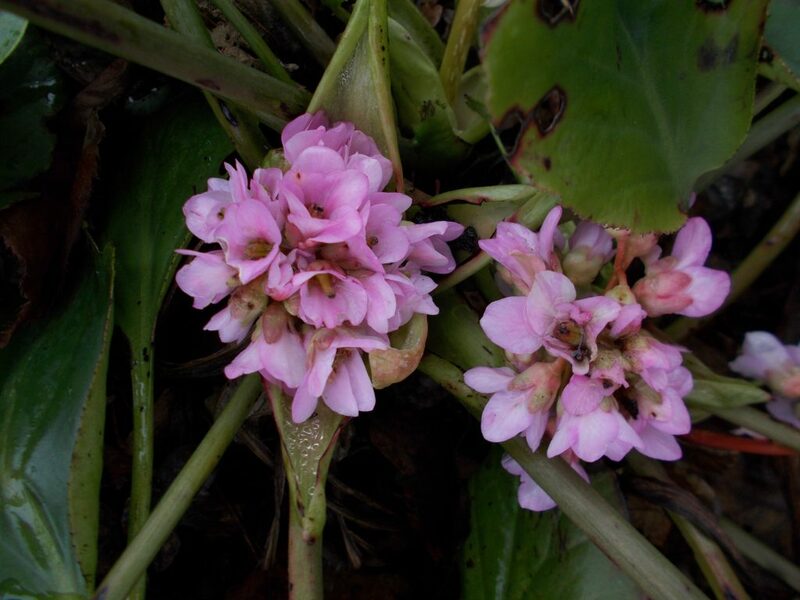 Bergenia x schmidtii a hybrid between B. ciliata (Kashmir, Nepal) and its more northerly cousin B. crassifolia from Siberia and Mongolia. 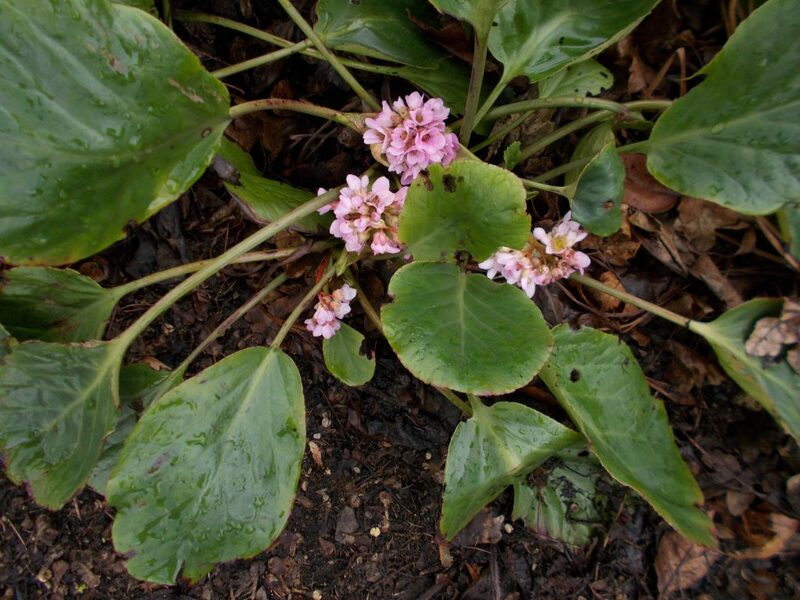 A good plant as ground cover on a dry soil where any disfigured evergreen foliage can be trimmed in late spring to reveal fresh growth from the rhizomatous stems emerging to continue the cover through bare soil. Producing a clump of pink flowers as a basal cyme these are a welcome addition to the spring flora. Make sure these are cut out once flower colour fades as this helps channel energy into the vegetative growth.